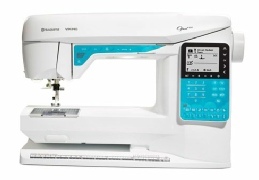 TOPAZ™ 50 A modern sewing and embroidery machine with Interactive Color Touch Screen. Design Positioning feature and built-in assistance. 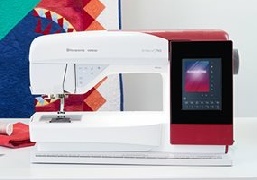 TOPAZ™ 40 A modern sewing and embroidery machine with a Color Touch Screen, as well as a large sewing and embroidery area, built-in assistance, and the EXCLUSIVE SENSOR SYSTEM™ feature. 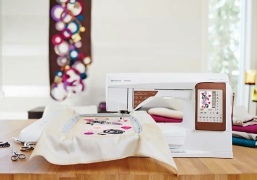 OPAL™ 690Q A modern computerized sewing machine with great quilting features and the EXCLUSIVE SENSOR SYSTEM™ that helps you go from good to great sewing! 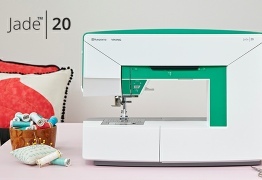 H|CLASS™ E20 Everyone can sew and turn their sewing ideas into reality with this easy-to-use sewing machine. 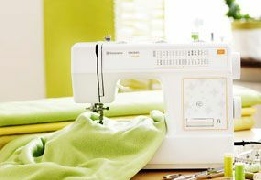 H|CLASS™ E10 A sewing machine that is easy-to-use and comes with a variety of features and accessories to get you started. 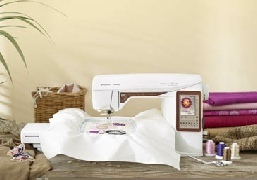 HUSKYLOCK™ s21 Ease of use in combination with large sewing space gives you professional serging results! 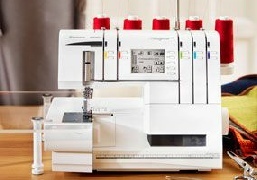 H|CLASS™ 250S Fast serging, easy threading and professional results. 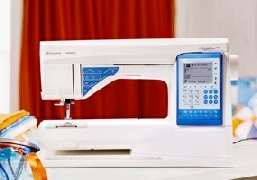 DESIGNER DIAMOND Royal™ - The newest and the most brilliant sewing and embroidery machine ever! 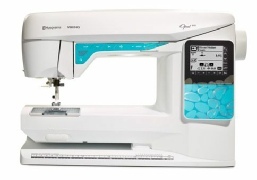 SAPPHIRE™ 930 With features like the EXCLUSIVE SENSOR SYSTEM™ and Exclusive SEWING ADVISOR™ this machine will give you ease and convenience. 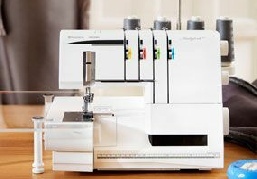 HUSKYLOCK™ s25 The ease of use and so many built-in features in combination with the large sewing space gives you professional serging results every time! 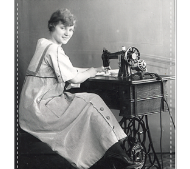 Please visit our store for your “FREE” demonstration. Please note these machines may only be purchased at our retail location. 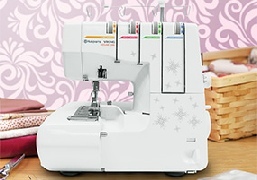 EMERALD™ 118 A reliable sewing machine ideal for all types of sewing, with many practical features you will love. 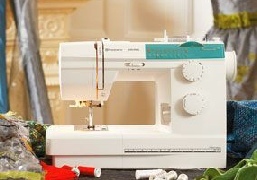 EMERALD™ 116 A sewing machine ideal for all types of sewing with many practical features you will love. 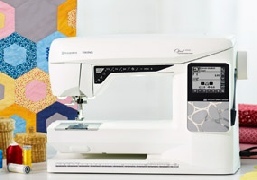 SAPPHIRE™ 965Q With its Interactive Color Touch Screen and features like the EXCLUSIVE SENSOR SYSTEM™ and the Straight Stitch Plate, this machine is ideal for quilters. DESIGNER BRILLIANCE™ 80 is delightfully intuitive, uniquely capable, and especially designed for the imaginative sewer with big and bright ideas.